First event of the new year for me! 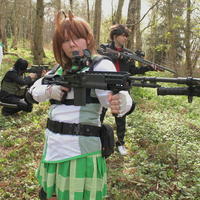 HyperJapan returns for its third outing in an even larger venue and appears to have smacked its queuing problems on the head from last year, the event is only improving and this year was host to the UK qualifiers for both the European Cosplay Gathering, and – for the first time ever – World Cosplay Summit. The UK is finally on the WCS map! Congratulations to our winners for both! 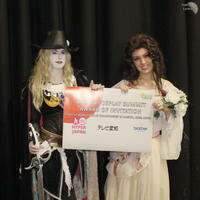 Lex and Sands are our representatives for the 2012 World Cosplay Summit with their excellent Vampire Hunter D (Amano version) costumes and performance, and will be attending the finals in Japan. 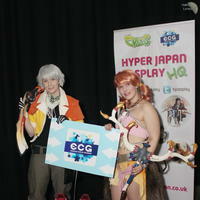 Yuka and Dahlia will be representing us at the 2012 European Cosplay Gathering with their costumes and performance from Final Fantasy XIII, as with Nomes with her Son Goku from Dragonball Z (which sadly I missed seeing!) at the finals held in France. Other prizes went to contestants for: Judges’ Choice, Best Junior, Best Individual, 4th place, and 3rd place. As usual, photos containing yourself are free to thieve for personal use (profile pictures/CosplayIsland/Facebook/whathaveyou), requests for higher resolution/unwatermarked versions as well as deletion or editing requests are typically honoured ASAP (please supply the NertCam number where possible!). Commercial use or for photos not of yourself, get in contact and we’ll work something out. The rapidstrap was also a success, I recommend one for anyone tired of a heavy camera around your neck all weekend, I may have to get one for the 450d now.. Also I don’t recommend using two cameras at once (one on each eye) with different lenses on each out of get-everything-in-the-masquerade desperation, but that’s exactly what I did and it was… a new experience. This would be why the masquerade sections are vast and somewhat overkill! 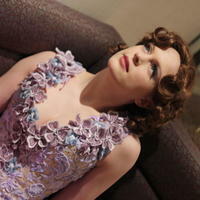 Congratulations to Xaereal for landing the first of two places as a UK representative for EuroCosplay 2011! Entries feed › Powered by WordPress and Gallery2, theme: Blueberry, heavily modified › 23 queries in 0.730 seconds.